Observation - Butterfly - Speckled Wood - UK and Ireland. Description: My first sighting this year (though I see the first sighting on the Butterfly Conservation website was as long ago as 19th Feb!). 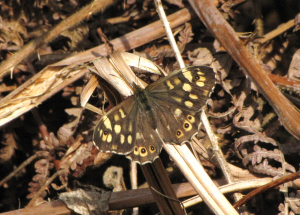 My first sighting this year (though I see the first sighting on the Butterfly Conservation website was as long ago as 19th Feb! ).